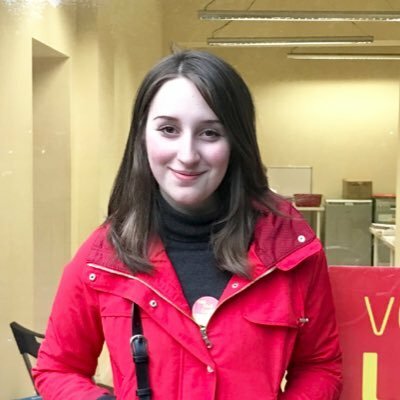 Miriam Mirwitch has been elected as chair of Young Labour today. Leigh Drennan, backed by Momentum, was widely expected to win, so the result comes as a surprise. LabourList understands that approximately 7,000 votes were cast and Mirwitch won by a small margin of under 100 votes. Mirwitch is currently Young Labour disability officer and was London Young Labour Chair until recently. Stephanie Lloyd, deputy director of Progress, said she was “proud” of Mirwitch, who was “met with a wall of antisemitism on social media” over the course of the election. Mirwitch has previously written for LabourList about receiving online abuse. Leigh Drennan, a member of Momentum’s national coordinating group and a local councillor in Tameside supported by Unite, Unison and GMB, was unsuccessful. However, Lara McNeill – who was also on the Momentum slate for the Young Labour elections – won the key position of NEC youth rep. The Young Labour chair guides the youth section’s general direction, organises national events and chairs meetings of the national committee. Eligible voters are all Labour members aged 14 to 26, who are automatically members of Young Labour. Email ballots went out on 8 February and voting closed at 12pm on 16 March.